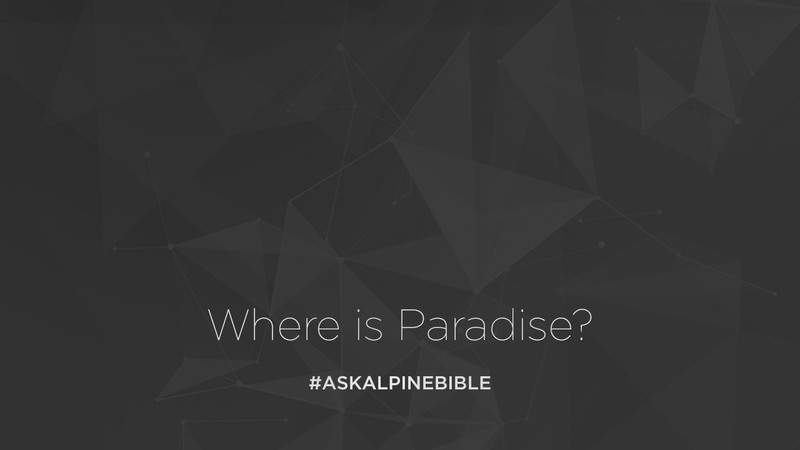 Where is paradise? What is paradise? I think the Bible gives us a clear definition of what paradise is. I think it’s the direct presence of God. I think it’s a celestial kingdom. The reason I think that, is because of 2 Corinthians 12:2-4 and Revelation 2:7. In 2 Corinthians 12:2-4, Paul is talking about into the celestial kingdom before the presence of God. You’ll see in verse 2 he talks about the celestial kingdom and then in verse 4 he refers to the celestial kingdom as paradise. Paul’s using that word interchangeably. The word “paradise” is actually a Persian derived word. It was a place of bliss, it was a place that the Persians would use to build gardens. People of wealth would build these gardens on top of their homes. It was a place of solace, rest and comfort. They would go up there to relax. For those who had such a place, or the means to be in such a place, it was viewed as heavenly. So the word for paradise began to be adopted as a word that described a heavenly atmosphere. Paul’s using that word to describe heaven in 2 Corinthians 12:2-4, as the celestial kingdom and I believe John does it in Revelation 2:7. So when Jesus says to the thief, “You’ll be with me this day in paradise,” I think it’s indicating to us that after Christ’s crucifixion, he went and let captives free in Abraham’s bosom, and he took everyone with him straight to paradise.